Over recent months a considerable amount of excess paint in part tins, has been returned to and accumulated in the stores at Britaney House. This excess has occurred where non standard colours have been specified on projects and part used tins have been left on project completion. These are opened tins and so we are therefore unable to return them to the supplier. Rather than disposing of them as waste and the ensuing damage this can cause to the environment we decided to offer it to the Community RePaint Network. 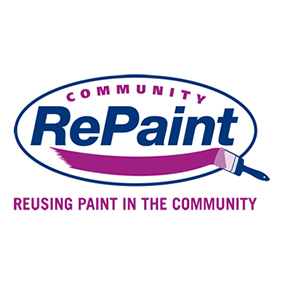 The Community RePaint Network is an award-winning, UK-wide network of over 60 community-based organisations collecting leftover paint which is then passed on to local charities, community and voluntary groups and others in social need. On Thursday 27 November 2008 we delivered a total of 145 litres of quality re-usable paint to this worthwhile cause and made a donation to: Community RePaint Thurrock, Run by Second Generation Reuse Project, West Street, Grays, Essex.